Let’s begin with an analogy. Gemma Townley is to Sophie Kinsella as Nicky Hilton is to Paris. Got it? Both Hilton sisters are attractive, thin and rich. Both are talented at self-promotion, designing things and being famous for er–being famous. Point is, one sister’s star shines brighter than the other. 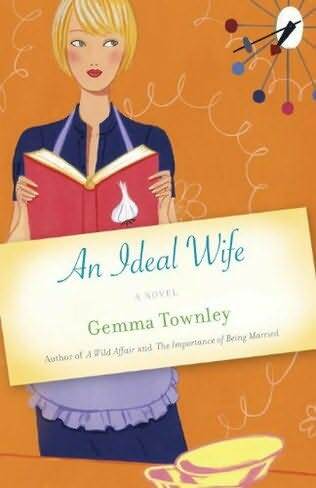 Gemma Townley is a British Chick Lit writer and the lesser known sister of Sophie Kinsella (aka known as Madeline Wickham) of Shopaholic fame. While Sophie has strong face and name recognition many fans of chick lit barely know who Gemma Townley is, and that is despite the fact that she’s had seven novels published. Most readers have no idea that these two authors are sisters. I am not sure if this was by crafty design of the publishers and PR and Marketing department. Or it could have been as simple (or complex as) Gemma using her given name of Townley, while her sister first used her married name of Wickham and then created a nom de plum called Sophie Kinsella when she decided to switch from traditional women’s fiction to chick lit. Perhaps the public and media were just too slow to catch up. Either way, it was several years into both women’s careers before the proverbial cat was out of the bag and eagerly acknowledged. I discovered Gemma first while vacationing in Italy with her aptly named novel When In Rome and promptly fell in love with her witty, writing style and whimsical plots. After perusing reviews of a few of her novels on Goodreads, I found that most readers either really loved Gemma’s work or were terribly dismissive of her writing. It was interesting to read comments from readers who obviously didn’t know the two women were sisters. Gemma Townley tries to hard to write like Sophia Kinsella. Or…Not as good as a Kinsella novel. These types of comments are probably why Gemma wanted to be known as Gemma Townley: Author and not Gemma Townley: The Sister of Sophie Kinsella Who Also Writes Chick Lit. I can think of one excellent example of sister authors who found success while using the same surname. 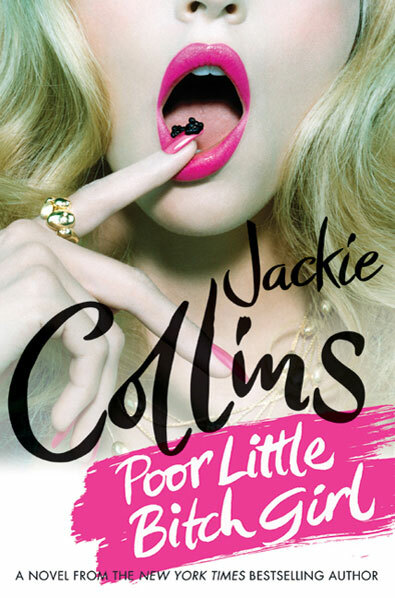 The gorgeous and glamorous duo of Jackie and Joan Collins are famously competitive and both write wonderfully trashy glitzy novels of love and lust. Jackie, most famous for her Lucky Santangelo character (and someone I grew up reading as a teen) has sold over 400 million novels while her older sister not as successful as she, has done quite well for herself selling 50 million worldwide. Sharing the same last name did not hurt either sister’s careers as novelists but this as you will see, Dear Reader is not the norm. At first look it might seem strange that these two authors would purposely distance themselves but when you really analyze the situation it makes perfect sense. Let’s take two famous sisters as an example. Beyonce and Solange Knowles are very talented and attractive young women. One is a global superstar and the other, also a R&B singer struggles to find an audience for her music. Solange is often criticized in the media for plaintive, immature behavior that screams Look at me and not my super-famous sister! From shaving her head, to wearing odd clothing choices, Solange is challenged to crawl from under her sister’s behemoth shadow and cease being Beyonce’s lesser sibling. I hope that she eventually finds her niche. The Universal Law of More Than One Celebrity In A Family (I just coined that phrase.) seems to indicate that there can only be one superstar per family. Name your favorite Beyonce song. Now name any Solange title. Still waiting… Exactly. You can’t because even with the famous Knowles name, nepotism and the connections her family must have, Solange has never had the marketing, promotion and airplay that her older sister enjoys. It doesn’t mean that she is not as attractive or talented as her sister it simply means that the world is not big enough for two R&B stars from the same family. Julia Roberts is one of the highest paid actresses in the world. Now, what about her older sister Lisa, never heard of her, right? Me either, not until I read this article. Lisa had cameos in almost all of Julia’s films and appeared in a few not directly related to her older sister. Why isn’t she known as more than the sister of Julia Roberts who also acts? It is because The Universal Law of More Than One Celebrity In A Family demands that only one sibling achieve global stardom. Lisa seems content to be a consistently working actress in Hollywood and that at least is something most aspiring Brads and Halles wish they could say. My point is, as glamorous as it may seem, being the sibling of a famous person is not as helpful as you might think. Certainly not if you strive for success in the same arena as your celebrity brother or sister. So, when Gemma Townley decided to write and publish her own novels she had to consider that not only would she be in direct competition with her sister but she would be unfairly compared to her. It probably would have been helpful if Gemma hadn’t selected the exact genre to write in and then commenced to writing almost the exact types of novels but she has (insert shrug), and we the readers have double the fun and fluffy novels to read. I can’t say that there are huge differences in the writing of these two sisters. In my humble opinion, their writing style is exactly the same. Popular opinion appears to suggest that Sophie is the stronger writer of the two but I prefer to consider them two sides of the same coin. Certainly if you like one of these writers you will love the other. They both have that typical British humor I love, always with a glossy gorgeous character name Jemima or Finoula and a Hugh Grant-type hero or maybe a brash American entrepreneur with a gleaming set of perfect white teeth. Gemma’s books follow a certain formula. The heroine usually works in PR or marketing, there is a cute but loser boyfriend in her past and her mother is usually meddlesome. Well, okay maybe this sounds like half of every chick lit story you have ever read but for me what makes it different from other novels in the genre, is the writer’s voice which is patently British and very, very funny in a sardonic kind of way. Which is exactly how I would describe her sister Sophie’s novels. The new series by Gemma Townley features Jessica Wild, a fabulously flawed and fun character. The series follows her trials and tribulations as she finds a husband and learns to be a good wife. That is the short version, it is really infinitely more complicated than that–but in a good, plot-twisting way. The series is enjoyable but not as wonderful as her single titles. If you are a die-hard Gemma fan, you will want to purchase, read and re-read this series. If you are on the fence, I would recommend Little, White Lies and Learning Curves, two of her best works. Even if you are new to the world of Sophie Kinsella you have probably heard of the Confessions Of A Shopaholic film. Her series of the same name needs no additional promotion from me, so instead I will recommend the excellent Can You Keep A Secret, Remember Me and her latest relief The Twenties Girl. And if you really love Sophie Kinsella-style novels, you’ll love Katie Oliver’s debut novel, Prada and Prejudice, a chick lit novel set in London. You’re right, the Jackson family is one of the few exceptions. Janet has done very well for herself hasn’t she? Thanks for pointing this out. Thanks for mentioning Gemma Townley! Otherwise, I would probably never have read “Little White Lies”! And I really loved it! I am definitely going to read her other novels as well! I don’t quite understand why Gemma is not as popular as her sister… Her writing and story was great! She can for sure compete with Sophie! 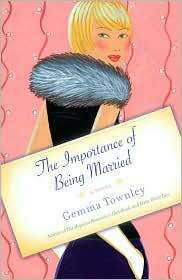 I’d never heard of Gemma Townley, but then I don’t read much chicklit. I did read the first Shopaholic book but although it was okay it wasn’t really for me. Another example: Louise and Tilly Bagshawe, sisters writing in the glitz and glamour genre. I’ve enjoyed some of Louise’s books but the latest ones seem a little bland, so I’m thinking of jumping ship and trying Tilly’s. i have not read any of the bagshawe sister’s novels but i do like the glitz and glam genre. are they a bit like jackie collins, do you think? I do have a sister. 🙂 And we get along very well. This was a great read. I wonder what is the factor. Are all of the sisters older? The more successful ones.